This is problematic because the landlord loses rental income and is also prevented from evicting the tenant and re-letting the space to a solvent tenant. As a result, it is critical for landlords to take proactive measures prior to a faltering tenant declaring bankruptcy, as well as taking aggressive measures within the bankruptcy proceeding. Standard commercial leases contain provisions that require tenants to deposit money with landlords as security for the tenant’s performance of the terms and conditions of the lease, including the payment of rent. Although security deposits are seemingly simple safeguards, unfortunately, they are sometimes not utilized to their maximum effect. First, it is critical that at the time of a lease renewal that the amount of the security be increased to be commensurate with a multiple of the new presumably increased monthly rent and that such increased amount is actually collected. A security deposit collected 5, 10 or 20 years ago will probably not offer a landlord adequate protection for a current rent default. In addition to making sure that security deposit amounts are up to date, it is also critical that landlords do not delay in applying security deposits against rent arrears. If a landlord fails to give notice that it is applying the tenant’s security against a tenant’s rent arrears prior to the tenant declaring bankruptcy, then the security deposit will become part of the tenant’s bankruptcy estate and might not ever be collected by the landlord. This is because many commercial tenants who declare bankruptcy owe debts to other creditors such as lenders or equipment lessors who are secured creditors and would receive repayment priority over landlords whose rent claims are typically unsecured. A letter of credit is typically a two or three page agreement whereby the issuing bank agrees to pay an amount specified in the letter of credit to the beneficiary (landlord) upon a default by the applicant (tenant) under the lease between landlord and tenant, and the landlord subsequently delivering a payment demand known as a “draft” to the issuing bank. Although there are some transaction costs and often a short time delay before funds are received under letters of credit, as long as a landlord or its legal counsel is experienced and meticulous when attempting to draw on a letter of credit, the potential inconvenience should be more than offset by the bankruptcy protection that it can provide. Once a commercial tenant declares bankruptcy, the court appointed bankruptcy trustee has 120 days to decide whether to accept or reject the lease (11 USC 365) which leaves the space in a no-man’s land in the interim because the landlord cannot legally relet the space until the lease is rejected. As a result, it is usually a good strategy for landlords to have their legal counsel promptly contract the bankruptcy trustee and tenant’s bankruptcy counsel to try to obtain an expedited rejection of the lease in less than 120 days. In conclusion, there are many proactive measures that landlords can take prior to and after a commercial tenant declares bankruptcy in order maximize the collection of rent and expedite the vacatur and reletting of the bankrupt tenant’s space. 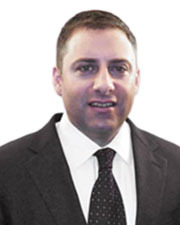 Stephen Lasser is a managing partner at Lasser Law Group, PLLC, New York, N.Y.